According to The American Academy of Pediatric Dentistry, tooth decay is the most common chronic childhood disease — five times more common than asthma and four times more common than early childhood obesity. It’s important to find a family dentist who can help prevent tooth decay in your child. 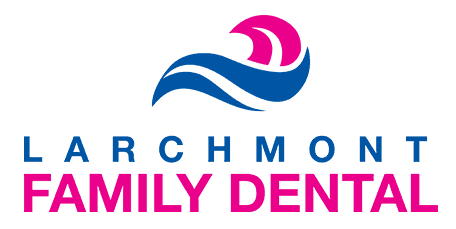 At Larchmont Family Dental, Dr. Avi Malkis provides comprehensive and compassionate dental care for children of all ages in the Westchester County of New York, including Larchmont, Mamaroneck, Harrison, and New Rochelle, New York. To learn more, call the dental office or book an appointment online. What is a pediatric dental visit like? Your first dental visit with Dr. Malkis and the team is primarily about meeting the dentist and establishing a relationship with him. After meeting, Dr. Malkis examines your child’s teeth and mouth for any potential problems. He checks for tooth decay, looks at their bite, and inspects their gums, jaw, and oral tissues for problematic symptoms. If needed, the hygienist may clean your child’s teeth and assess if they need a fluoride treatment. Until your child is about six years old, you should be administering the actual brushing and flossing yourself. Once they are capable of performing their own brushing and flossing, you should still check their teeth for plaque or debris afterward. Sealants are thin coatings painted onto the chewing surfaces of your child’s molars. They prevent tooth decay by forming a shield over the enamel. Dentists recommend that you get your child’s molars sealed as soon as they come in. One of the best ways to prevent tooth decay in your child is limiting the amount of sugary foods and drinks they have, especially in between meals. Crunchy, fresh snacks like apples, carrots, and celery are best — they’re healthier and also help scrub plaque from teeth. Recent studies have shown that 100% fruit juices are not cariogenic, it is advised to avoid juices that are not made of 100% fruit. Most pediatric dentists recommend that your child has a dental cleaning and examination every six months. However, each child is different and has specific needs, so it’s best to schedule an appointment with Dr. Malkis so he can determine a plan that works best for your child. At Larchmont Family Dental, we make dental cleanings easy and gentle on children of all ages. To schedule a visit, call the office or book an appointment online.